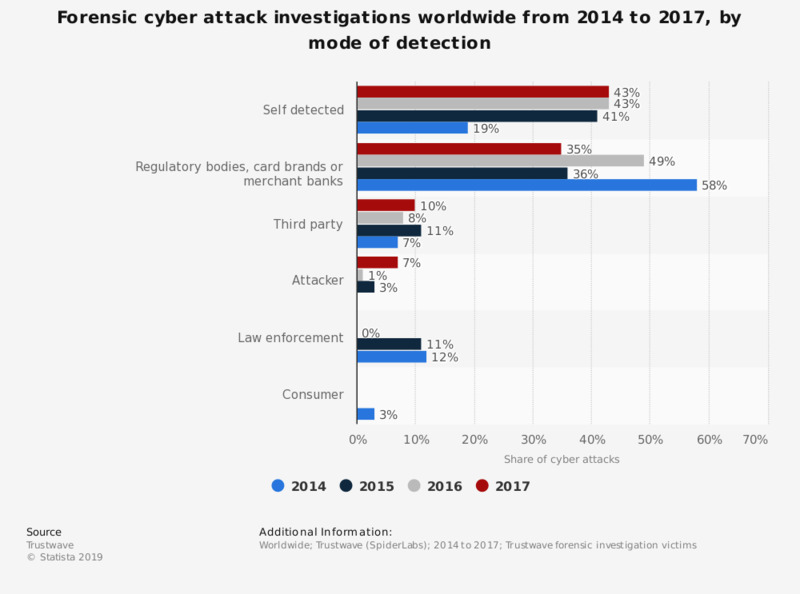 This statistic gives information on most common modes of cyber attack detection from 2014 to 2017. During the most recent survey period, it was found that 35 percent of global cyber attacks were detected by regulatory bodies, card brands or merchant banks. In total, 49 percent of data breaches were detected by the victims themselves.